Free ESL Classes — New Locations and Times! We now have 11 locations in Northern Pinellas County for LCUP’s English Conversation Classes, with a total of 18 classes available each week. These classes have a variety of educational opportunities: some provide basic phonics and grammar instruction, while others are designed for more intermediate students. 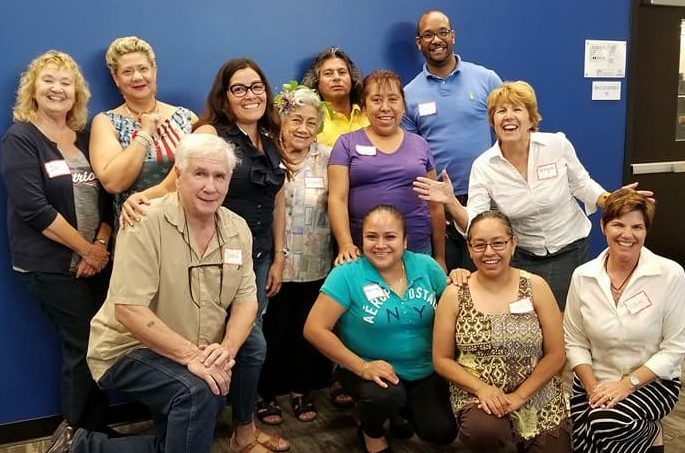 The strength of all of these informal classes is to give our adult students a chance to visit with each other and tutors and practice their English language skills. There is no cost, so please attend many of the classes to see what interests you most. Ahora tenemos 11 ubicaciones en el condado de Pinellas Norte para las clases de conversación en inglés de LCUP, con un total de 18 clases disponibles cada semana. Estas clases tienen una variedad de oportunidades educativas: algunas proporcionan instrucción básica de fonética y gramática, mientras que otras están diseñadas para estudiantes más intermedios. La fortaleza de todas estas clases informales es darles a nuestros estudiantes adultos la oportunidad de visitar a los tutores y a los tutores y practicar sus habilidades en el idioma inglés. No hay costo, así que por favor asista a muchas de las clases para ver qué es lo que más le interesa. Haga clic en “LEER MÁS” para ver los horarios en inglés y español. Click “READ MORE” to see the schedules in English and Spanish. It’s fast approaching the first anniversary of my introduction to the family I shall refer to as the Maldonados. I had been tutoring a diverse group of English learners in one-on-one sessions when I was asked if I could take on “just one more.” This student was deemed a “special” case. More often than not, these cases turn into adventures. Soon I was introduced to “Jay.” Jay was a shy sixteen-year-old newcomer who had only been in-country three weeks. I had met his aunt and her husband and had found them both possessing the traits of curiosity, dedication and persistence. These are “the big three” in language acquisition. What I wasn’t prepared for was Jay’s age. Up until that moment, my students had all been adults. But since I had once supervised twenty-three high-school students working in the medical center of a major city, I took the chance. I’m sure Jay had misgivings of his own. These probably included the risk of being seen in the company of a gray-haired person obviously not a relative. I asked him about his goals and was pleasantly surprised that he had arrived with not only a “Plan A” but a “Plan B” as well. He stated that he wanted to learn English by his birthday, which was a little over five months away. Based on his monosyllabic answers, I thought this goal fell somewhere between “unlikely” and “overly optimistic.” It turned out I was committing the classic mistake of underestimating a determined pupil. Since Jay was in high school, our initial afternoon lessons consisted of sorting through words and phrases he had acquired earlier that day. Some days the pile of “inappropriate” words would nearly equal the “useful” pile. The library where we held our sessions was relocating and while the new building was being finished, we were forced to hold classes at a well-known fast-food restaurant a short walk from Jay’s high school. This not only saved time, but also offered a “real world” environment. I encouraged him to order his own food to get used to hearing terms like “whatcanigetya?” and “haveagoodone.” But when he started asking the counterman for the correct pronunciation of menu items, I had to step in to keep the line moving. When I would explain a word by substituting its Spanish equivalent, he would laugh at my “cave man” accent. I told him he spoke “Frankenstein” English – teasing terms we still use today. For a “shy” person, his mirth was unrestrained – sometimes causing panicked looks on our fellow diners’ faces. In Spring, Jay’s Uncle Moises arrived and I sensed Jay’s pleasure in having a slight edge over his uncle’s passable, but hesitant English. With the arrival of summer, Jay returned to his Caribbean homeland and I feared the two-month hiatus would be a setback. By the start of the new school year, I had four family members in my twice-a-week class and when Jay returned, we set up an additional two-hour class on Saturday afternoons – exclusively for the family. Since Saturday classes are “family members only,” I let them choose the subjects. Grandmother Maldonado always requested grammar, while her daughter Luciana favored short stories. Luciana’s husband “Enrique” was consumed by economics and demographics. Uncle Moises was fond of contemporary stories which we read aloud. Collectively, they all loved English idioms and gobbled them up like treats. Under the watchful eyes of his family, Jay morphed back into his serious student role – even donning black-framed glasses to complete the look. On Saturdays he’s ribbed by his uncle, defended by his aunt and gets a serious (but not stern) appraisal by his grandmother. Jay’s tutoring sessions are scheduled before other classes and he often remains in his seat, as the new class arrives. He gives enthusiastic answers when he knows them but remains silent when he doesn’t. His interest picked up one day with the arrival of four Brazilian students. He’d give a bemused smile from time to time – later telling me that their Portuguese sounded like “mispronounced Spanish.” After a few impromptu lessons from the Brazilians, Jay announced that Portuguese will become his third language. I don’t doubt it. Having spoken with other tutors on their experiences, the consensus seems to be that our country is strengthened by this diverse infusion of new blood. It has always been our strength and it’s my particular luck to be able to welcome these exceptional people. America has received a bargain with the Maldonado family. 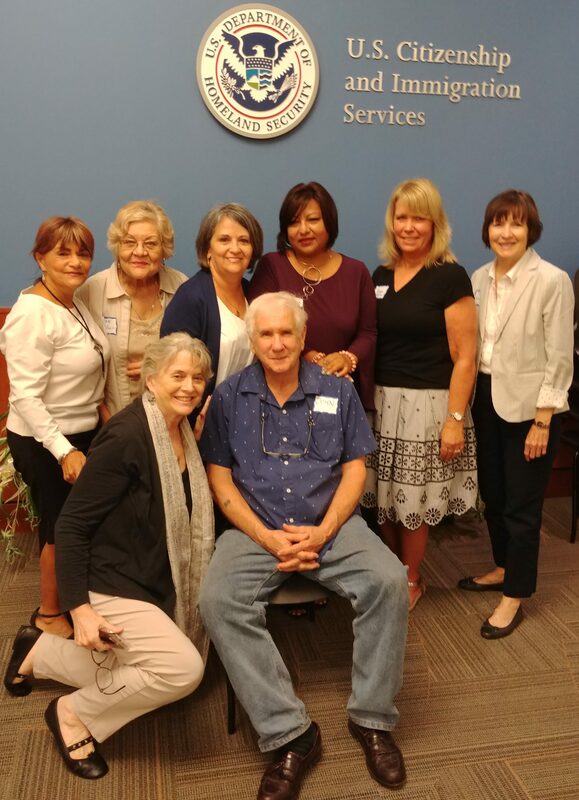 Volunteers from the Literacy Council of Upper Pinellas attended a training seminar for adult educators, directors, volunteers, and representatives from immigrant-serving organizations. The seminar was offered by the U.S. Citizenship and Immigration Services, a division of the U.S. Department of Homeland Security, on September 13, 2018, in Tampa. Instruction was designed to enhance the skills needed to teach U.S. history, civics, and the naturalization process to immigrant students and to administer a comprehensive adult citizenship education program. On April 30, English conversation classes resumed in their new meeting space at Clearwater East Community Library at St. Petersburg College. The library is located at 2465 Drew Street in Clearwater, and classes meet on Mondays from 6 pm to 7:30 pm. Classes had been on hiatus since mid-February, so it was a warm reunion for students and tutors and a welcoming event for newcomers. The class is led by tutors, Jan Demers (back left) and Robin Pitchford (front right). Tutors are welcome to visit any class. We have many students who are eager to work, one-on-one or in a small group, with an LCUP English tutor. These are some of the resources our tutors use. We have never had a problem with downloading from these sites (no viruses, etc.). We often use the material presented as the idea for our own worksheets or class materials, and we often “borrow” the clip art. Please be aware of the copyright information given on each of the pages. These are free although you may need to register to use the site or download material, and some sites have cost information for you to acquire additional material. More sources are listed on our web site, www.lcup.net. Teachers share their lessons to download for free, and this site leads you to Teachers Pay Teachers (see below) or to the teacher’s web site or blog. TPT has both free materials and packages you can purchase from other teachers. This is a reliable source of worksheets, lesson plans, and ideas. Free presentations in Power Point format (also printable) and Online Games for Kids. Most are easily converted to worksheet format and can be adjusted to less childish presentations. Free – the purpose of this site is to make the English language as easy and as simple as possible, for everyone. Whether you are a beginner, an advanced student or an English teacher, what’s important is that you (or your students) will be able to understand and use English in life. We are a community of language teachers from around the globe who share our home-made worksheets on this free-to-use platform! Spanish, Portuguese and Russian. You can download all ESL teaching materials free of charge, but you need to register your email to download. Free worksheets and lesson plans. Download and Print Teaching and Learning English as a Second Language Free Printable Exercises, Worksheets, Handouts, Tests, Activities, Materials, Resources, Grammar Explanations and Lessons, Vocabulary, Picture Dictionary, Pictionary, Posters, Games and Puzzles for kids, students and teachers! The nonprofit ReadWorks provides K-12 teachers with what to teach and how to teach it—online, for free, to be shared broadly. We provide the largest, highest-quality library of curated nonfiction and literary articles in the country, along with reading comprehension and vocabulary lessons, formative assessments, and teacher guidance. Most importantly, everything ReadWorks does is based on proven cognitive science research, not unproven academic theory. We solve the problem of reading engagement holistically for students, teachers, and principals. With content and activities created specifically for students in grades 2-6, Newsela fits seamlessly into your elementary literacy routine. Welcome to the Tutor Support website where you will find lessons, handouts, and other resources to help you with your tutoring, ESL classes, and Talk Time groups. To teach adults (16 years and older) literacy skills to enhance their self-esteem, increase occupational and social opportunities, and enrich lifestyles. A copy of LCUP's official registration and financial information may be obtained from the Florida Division of Consumer Services or, by calling toll-free 1-800-435-7352 within Florida. Registration does not imply endorsement, approval or recommendation by the State of Florida. 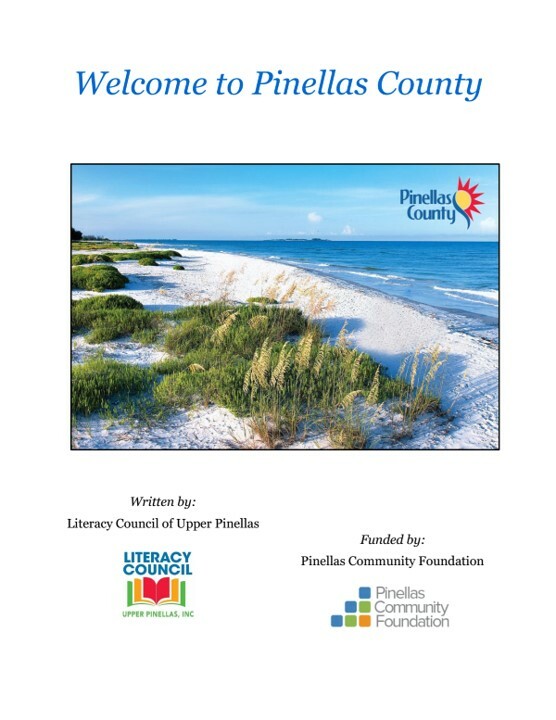 For more information about LCUP's mission, legitimacy, impact, reputation, finances, programs, transparency, governance, and more please go to GuideStar and enter Literacy Council of Upper Pinellas. Copyright © 2019 Literacy Council of Upper Pinellas. All rights reserved.